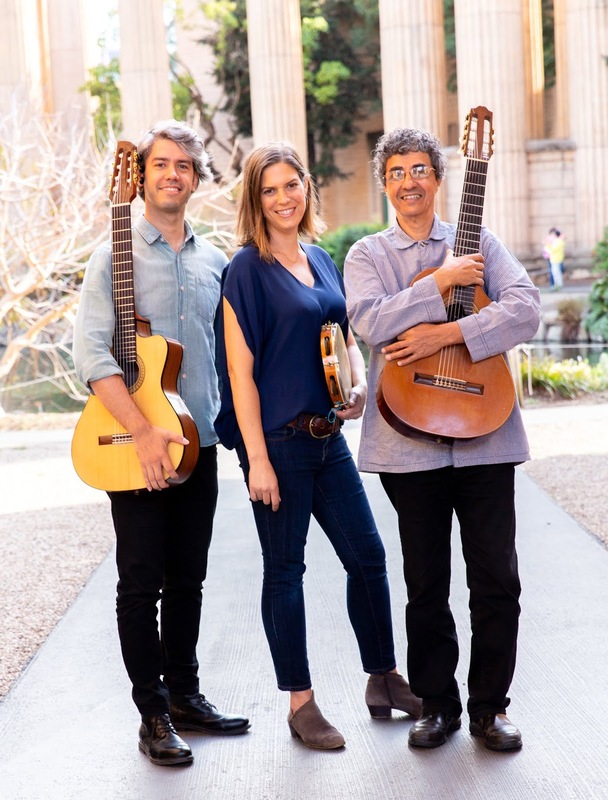 This concert will feature the release of a new album that chronicles over 160 years of Brazil’s first national music, “choro.” Musical styles recorded include the Lundu, European Valsa, polca, tango habanera, maxixe styles that created the genre of Choro music and paralleled America’s Jazz music with Indigenous, European and African influences. Composers profiled range from Villa-Lobos, Chicquinha Gonzaga and Pixinguinha. This album was recorded in October, 2018 and be released in March of 2019. A master of both 6 and 7 string guitars, Rogério Souza is one of the foremost representatives of the music of Rio de Janeiro. Rogério regularly produces and performs in and concerts and events that showcase traditional Brazilian music, samba and choro. He is an award-winning composer and arranger who has worked with artists like Baden Powell and Paulinho da Viola. Rogério also tours regularly, performing and educating throughout Latin America, Europe, and the United States. Guitarist and composer Edinho Gerber possesses a rich musical vocabulary developed in the two countries where he was raised in the United States and Brazil. Navigating effortlessly between the genres of choro, jazz, samba, and blues. A staple in the Chicago music scene,he has performed in prestigious festivals and concerts in throughout the United States, Russia, and Japan. Ami Molinelli is a professional percussionist and educator specializing in Brazilian and Latin percussion, especially the pandeiro. She is the co-leader of the Brazilian choro and jazz ensemble, Grupo Falso Baiano. Ami received her MFA from the California Institute of the Arts and has studied at the Universidade Federal da Bahia in Salvador. This project is funded by the San Francisco Arts Commission.